Naperville Exteriors, Inc.’s mission is to provide its customers with the most professional roofing services available today in the industry. We use a proactive approach to roof repairs by urging homeowners to allow us help them ward-off problems before they begin. Homeowners can save thousands of dollars in roof repair and roof replacement costs by engaging in comprehensive roofing maintenance. By employing preventative measures, you will realize that quality roof repairs are often a more acceptable and less costly alternative to a complete roof replacement. Customers can rely upon Naperville Exteriors, Inc. to never compel them to have a total roof replacement, when only a roof repair is all that’s needed. Naperville Exteriors, Inc. offers a full line of roofing services that is able to restore your roof to a like-new condition. After we conduct an on-site inspection of your roof, Naperville Exteriors, Inc. will pinpoint any present problems or potential troubles and devise the most cost-effective solutions. For more than 10 years, Naperville Exteriors, Inc. has been providing residential roofing services in the Greater Chicago Metropolitan Area. Our trusted team of roofing contractors is dedicated to providing reliable roof repair, roof replacement and roof installation that leave our customers satisfied. 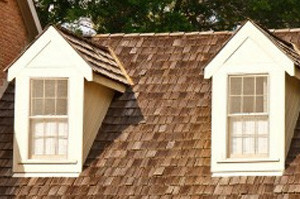 Naperville Exteriors, Inc. has recently been installing a variety of Cedar Shake Roofs known for adding beauty and character to homes, the value-adding traditional Shingles and the stylish and attractive Slate Tile Roofing for Lisle residents. Lisle, Illinois is located in DuPage County. Lisle has a population of 22,093 residents with 9,121 households. Money Magazine named Lisle as #20 in“100 Best Places to Live,” and in 2009, Lisle was named as #17 of the “Best Places for the Rich and Single.” Lisle homeowners consider Naperville Exteriors, Inc. as the best answer for all their roofing needs. Recognized as a leader in the roof repair, roof replacement and roof installation, Naperville Exteriors, Inc.’s roofing contractors have quality craftsmanship, product knowledge and professional follow-through with clients. A great deal of our roofing business in Lisle continues to come from referrals and repeat customers. And, if you are planning on roof repair or roof replacement, Naperville Exteriors, Inc. will provide you with information that will help you decide on the right roofing system to suit your home and your budget. Although cost and durability may head the list, aesthetics and style are extremely important to Lisle residents, too. Whether you think you might want the traditional Shingles or the Cedar Shake Shingles, or even, the Slate Tile for your Lisle home, you can rest assured that our roofing contractors will have the solution. When you are contemplating a roof repair, roof replacement or roof installation, Naperville Exteriors, Inc. will be able to assist you with every phase of roofing for your home. Furthermore, Naperville Exteriors, Inc. is known for specializing in complete roof replacement at the most competitive pricing available. Consequently, if this is what you have in mind for your home – a new roof replacement or only roof repair work, give Naperville Exteriors, Inc. a call at: (630) 254-4831, because we are available to help. If you are thinking about roof installation, Naperville Exteriors, Inc. is the only name you need to know!